Oppo has launched two new phones called Oppo A75 and Oppo A75s. Both devices shared almost the same specs and they are both being marketed as selfie smartphones. In terms of camera, they both have a 16MP rear camera with a single LED flash and a 20MP selfie camera without LED flash. 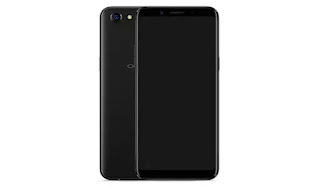 Oppo A75s and A75 features a 6.0-inch FullView 2.5D curved glass display, fingerprint sensor, 4G LTE enabled, runs on Android 7.1 Nougat straight from the box which is powered by Mediatek Helio P23 chipset and packs a 3200mAh battery capacity. The difference between the two devices is that the A75 has 32GB internal storage while A75s has 64GB; both with a 4GB of RAM. The two devices have been launched in Taiwan. Below are the full specs of both devices. Price: NTD 11,990 ($400). A75 variant costs NTD 10,990 ($365). Oppo A75s, Oppo A75 specificatons, features, price in Taiwan, usa. Oppo A75 A75s released date, review. this phone is nice,has good RAM with good internal storage.